Everybody knows about the”golden arches.” Just the mere thought of the McDonalds logo is enough to transport us back to our childhoods. Which bears the question, how important is an eye-catching logo to a business’s success? According to the BBC, “instant recognition is the holy grail for a business.” Being recognizable means being successful. If you’re in the market for a new logo design, odds are that you will need to write a logo design brief in the very near future. A well-written logo design brief can spell the difference between a logo design that’s perfect for your business and a logo design that doesn’t even come close to fulfilling your needs. Before we can explore how to write an effective logo design brief, we must first define what a logo design brief is. A design brief is a written document intended to communicate a client’s design needs to a designer or designers. An effective design brief will inspire the designer to design the perfect logo for your business. Think of a design brief as a recipe. You provide the ingredients and the designer does all of the cooking. Now, imagine you are trying to cook a recipe with half of the ingredients missing. A well-executed design brief is similar to a great recipe. The bottom-line is that a logo design brief is the designer’s guide to your business. Before you write your design brief, you must first determine which design method you’re going to use. Working with a designer one-on-one is often a very lengthy process, since there is only one artist to handle the whole workload. Working with a design agency is often very expensive because of the number of designers they employ. We prefer using logo design contest sites because of their affordability and timeliness. On the other hand, If you feel like designing a logo by yourself? Try this DIY logo maker. 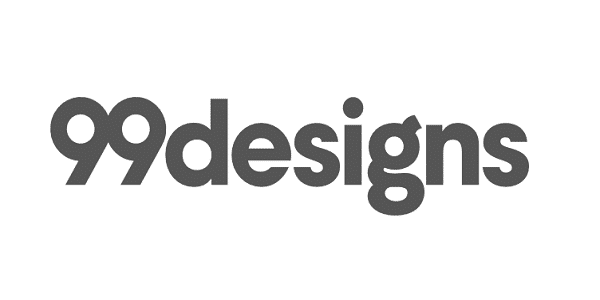 Definition: What is a design contest site? A design contest site is a crowdsourcing website which allows dozens of designers to submit competing design proposals for your project. These sites allow any designer on the platform to pitch their ideas, giving the customer unprecedented breadth of choices – which in our case, translates to dozens of logo design submissions. As opposed to the limitations of working with a single designer or a design agency, design contests sites have become extremely popular because they are fast, affordable and provide a variety of options. 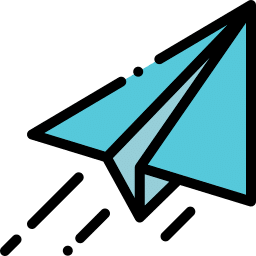 Add these facts to a 100% money back guarantee policy and ease of use, it’s understandable why these sites have become a popular choice to execute almost any type of design project. What should your logo design brief include? Writing an effective design brief is simple once you understand what information needs to be included. Here are some details which you shouldn’t forget! Sure, it might seem like a simple enough step, but forgetting basic info is a common brief mistake. Being sure to include you business’s name will give designers a better understanding of your company culture and will sometimes be used as inspiration to the wording included in the logo. The bio section is where you communicate your design goals and provide insight into your company’s culture. What does your business stand for? What type of audience are you trying to attract? What message would you like to communicate to your clients about your service or products? An effective logo design brief accurately reflects your business’s mission statement and helps the designer get on board with how you see things. In order to design a logo that works for you, designers need to know the colors you prefer. This is where you tell the designer if you want a variety of colors & shades or a limited selection but also colors you’d like to avoid (for example, colors your competitors use in their own logo). If you are very picky about your business identity, choosing specific colors will result in a better logo design. Knowing what colors to include makes the designer’s job much easier. Minimal vs. Complex – Do you prefer a logo with a clean, minimalist feel? Or do you prefer a complex design with a variety of color and text flares? For example, many legal firms prefer a straight-forward minimal design. On the other hand, a logo design for a musical festival or county fair might be a lot more complex. Modern vs. Classic – Some companies prefer logos that have a classic feel. A classic logo might feature elements of vintage or retro advertising design principles, such as bold text and stencil art. A modern design often features a cleaner, leaner style. Playful vs. Serious – Choosing an appropriate tone is an important part of the design process. A playful logo is inappropriate for some businesses, such as funeral homes. A playful logo would likely turn potential clients away. On the other hand, the logo for a child’s daycare center might opt for a much more playful design. Filling your designer in on any time constraints is one of the most important parts of a design brief. Setting a deadline not only helps you plan your business strategy, but also allows the designer to better manage their own time. You might not be the designer’s only client, so providing a realistic timeline is a great way to ensure effective results. A clear timeline allows the designer to budget their time, hence reducing the chance of a rushed design proposal. If you happen to be on a tight schedule, running a design contest is a great option. 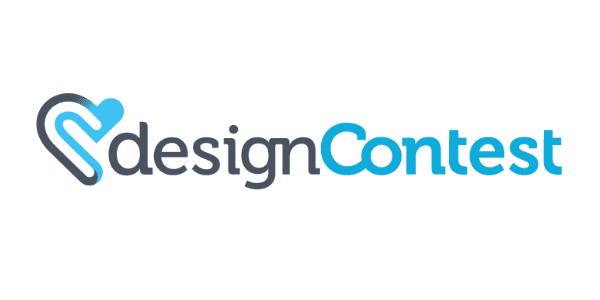 Since design contests connect you with such a large number of designers, you typically start receiving high-quality design proposals within hours, rather than days. Being honest and upfront about your budget is always the best way to go. Designers understand that businesses don’t have access to unlimited resources. Giving designers a clear budget allows them to give you specific details about the services they can offer. Also, it’s not only fair to the designer, but reminds you to stay within your own budget constraints. As you can see, your logo designer needs as much information as possible. The more details they have, the better the logo design will be. If you include specific details about what you expect out of your logo design, there’s no reason that you shouldn’t get the results that you need. Here is a sample brief to give you a better idea of how the design brief format should look. For our purposes, we’ll be writing a design brief for a fictional landscaping company called The Other Side Landscaping. Our target audience is middle- to upper-middle class homeowners between the ages of 30 and 65. The majority of our clients are well-established adults with stable, high paying jobs. Most landscaping companies in our area feature either a tree or flower in their logo. We’d like to try something a little more creative. We’d prefer the logo to feature greens and yellows; colors that inspire thoughts of sustenance, spring and growth. Look and Feel: The logo should feel very modern, and should feature a flat, colorful design. We’re planning on using the logo on business cards, our letterheads and on the side of our work trucks, so please design the logo with versatility in mind. We would like to have a finalized logo design in one week. Our budget for this project is $300 with the potential for on-going projects. We’re looking forward to seeing your design proposals! A detailed description / bio which clearly states your intentions. Following this basic outline will help you get the results you’re looking for. Writing an effective brief is particularly important when you are using a logo design contest site.Design contest sites connect you to a large number of designers, so a well-written design brief allows designers to measure whether their personal style would be a good fit for your company. How do design contest sites handle logo design briefs? While every logo design contest site features a unique logo design brief format, most require the same basic information. 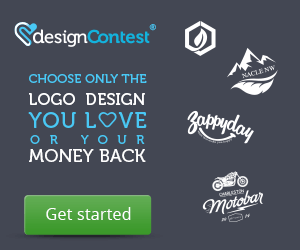 Here is what you can expect from three of the most popular logo design contest platforms: 99Designs, Designhill and DesignContest. 99Designs begins their brief process by asking you to chose your favorite logo designs from a varied selection of pre-selected projects. Choosing your favorite logos will give designers a general idea of your aesthetic preferences. The selections also allow 99Designs to customize your desired look and feel. To learn more about how the process works on their site, check out our detailed99designs review. Once you have chosen your favorite designs, 99Designs asks you to describe your business’s style. The site automatically adjusts your preferences based on the logos you selected on the previous screen, though you can customize your preferences here. The 99Designs brief process will now ask you to chose your preferred color palette. The color options include palettes of every shade, including blues, aquas, greens, purples, pinks, reds, oranges, yellows, light neutrals and dark neutrals. You can even choose to let the designer offer suggestions. The next page allows you to specify details about your project. 99Designs asks you what name you want in the logo, whether or not you want a slogan included, what your company does and who your target audience is. 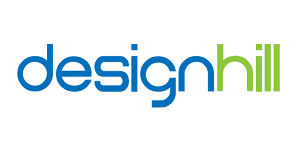 Designhill starts by asking you what sort of design you are looking for. For our purposes, we will be choosing logo design, but Designhill also offer design contests for business cards, billboards, stickers, brochures and more. You can also opt for design bundles, which include logo and social media kits, and logo and business card kits. To learn more about how the process works on their site, check out our detailedDesignhill review. Much like 99Designs, Designhill then asks you to choose your favorite logo design styles from a pre-selected collection of various styles. Once you choose your company’s industry, the logo design options will automatically be limited to logos created for your selected industry. Designhill will then ask you to choose your color preferences. This part of the logo design brief process is almost identical to the 99Designs color selection screen. The next step is writing your actual brief. Much like 99Designs, Designhill will ask you basic information, such as project title and brand name. They also allow you to upload reference images to help inspire designers. 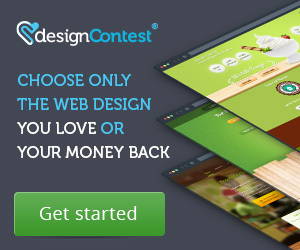 DesignContest begins by asking you to choose what type of design you are looking for. The options range from logo design, to web design, icon design, infographic design, clothing design and much more. We are looking to update our fictional company’s logo, so we chose logo design. To learn more about how the process works on their site, check out our detailed DesignContest review. DesignContest opts for a much more basic approach to the design brief. While you can still choose your preferred styles and colors, these fields are not mandatory. Instead, these extra details can be optionally added by choosing the “Add Detail” option. Instead, DesignContest encourages you to write a detailed project script. Writing an effective logo design brief is the most important part of any logo design process. If you want high-quality submissions, designers must understand your needs. Every logo design contest site features a unique design brief process, but the basic outline is always the same. Before you begin a logo design project, it’s important that you understand what is required of you. Being prepared is the only way to properly communicate with designers. Knowing the needs of your business will inspire designers to submit amazing logo proposals. Are you ready for your new look? Don’t let the design brief scare you. As long as you follow our simple format, there is no reason why your design brief shouldn’t deliver the results you expect. Did you find our design brief guide useful? Feel free to help others by sharing it!